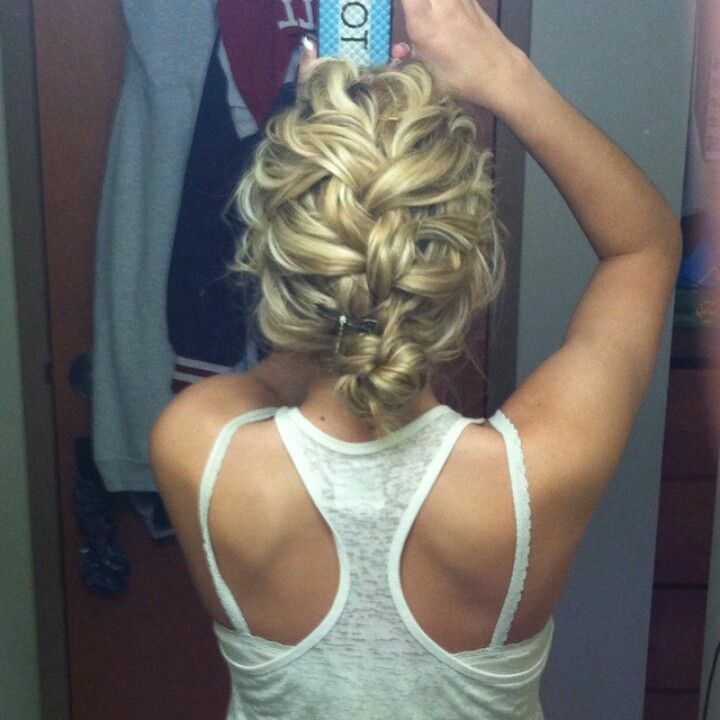 It’s funny how finding easy updos for medium hair isn’t easy to do it all. 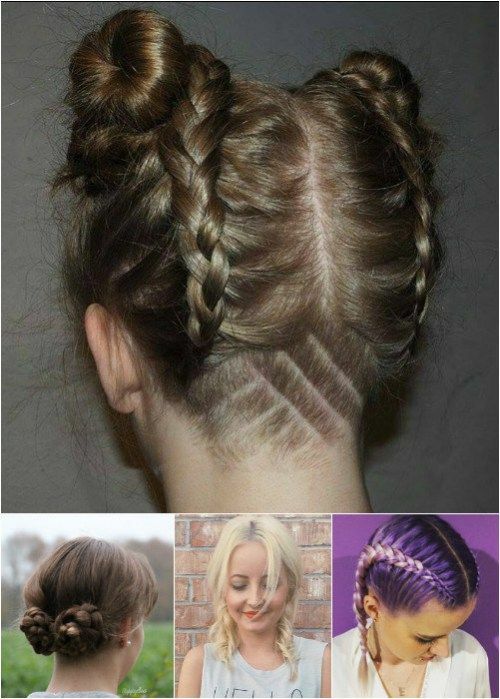 Really, the internet is overflowing with hairstyle ideas, but we weren’t all born with the gift of braiding, twisting, pinning and hair spraying our way to hairdo perfection. So what’s a girl to do? 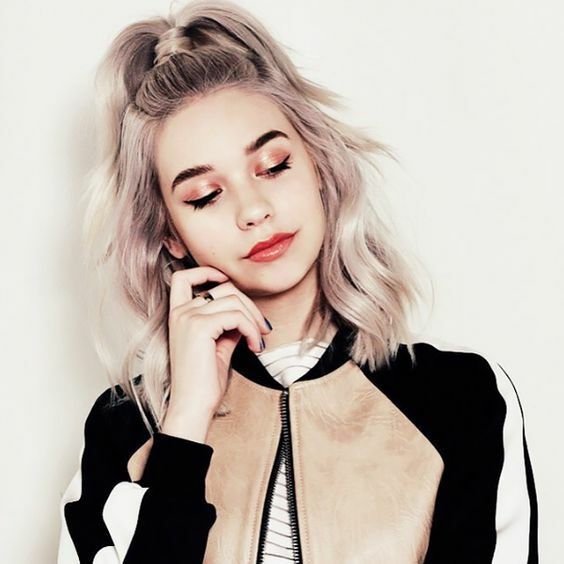 We’re happy to say that we have personally hunted for the top 60 DIY easy updos for medium hair that you will be absolutely in love with. 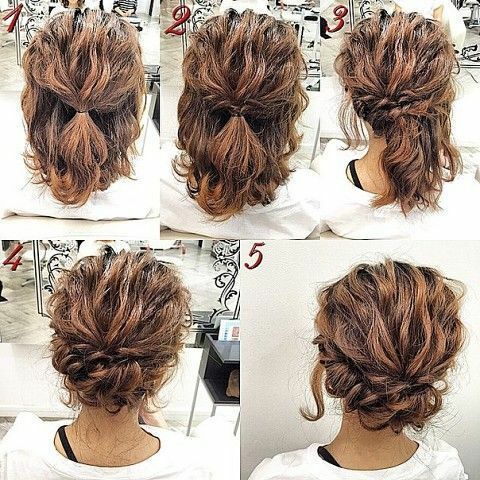 Try out these easy updos for medium hair! 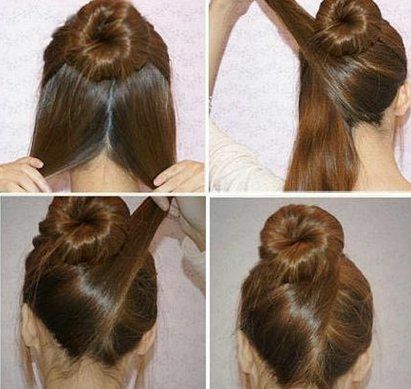 To get this beautiful low bun, all you need is two hair ties, some bobby pins, hair spray and a bit of patience. The results are worth it! 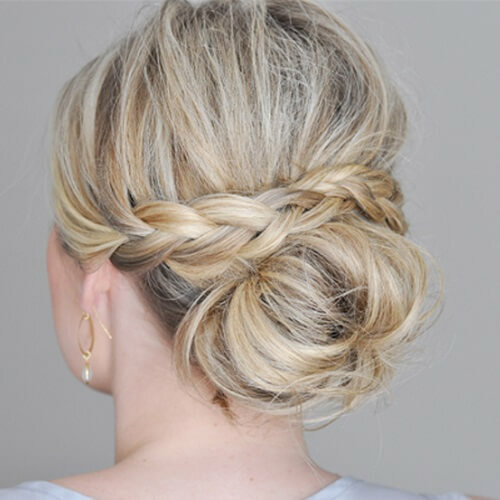 In just six easy steps, you can transform a small braid into a gorgeous chignon that gently rests on the back of your neck. Go from pigtails, to twisted braids to a lovely bun in a matter of minutes with one of our favorites from our easy updos for medium hair list. Good things come to those who twist! 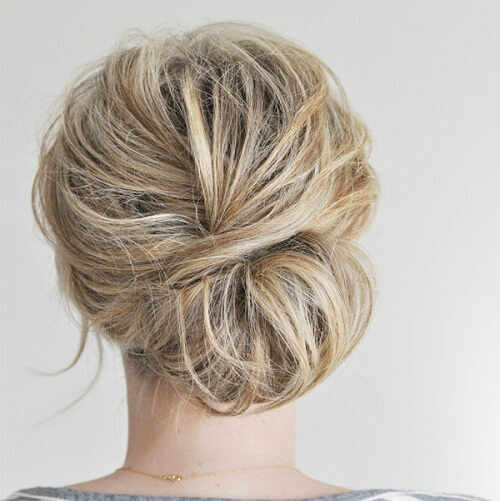 It helps if your hair is naturally wavy or curly for this pretty chignon. 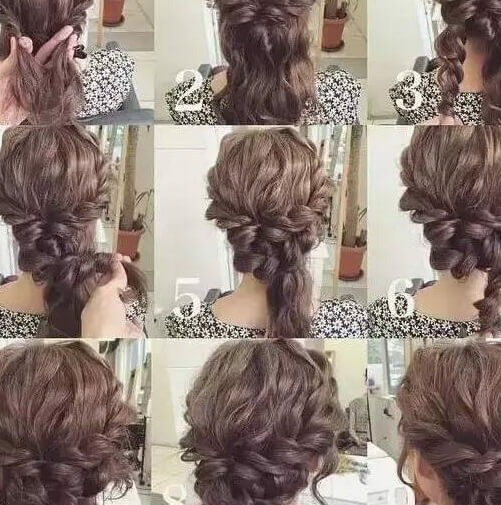 Yet another one of the 9-step easy updos for medium hair involves gradually bringing your hair together into a complete French braid and then twisting left, right and up. 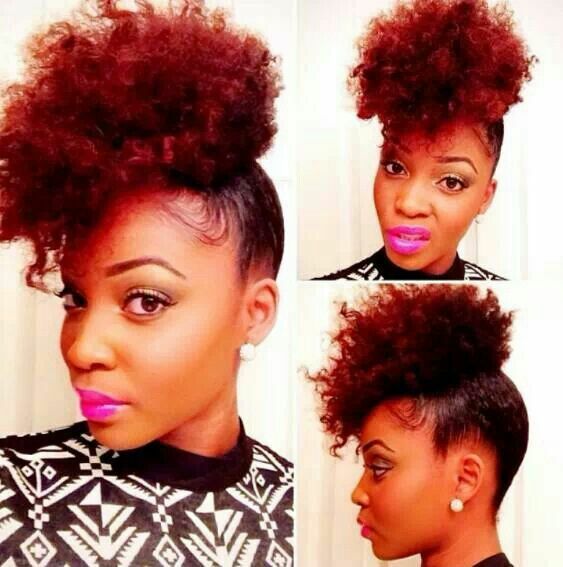 Curly gals will love this one. 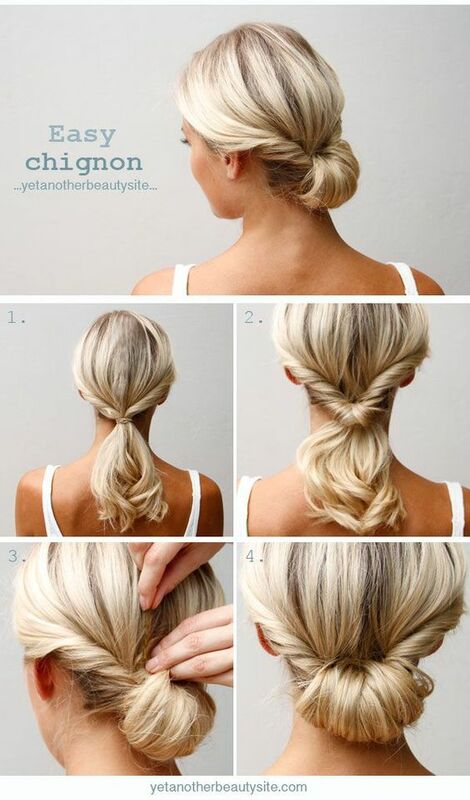 All you have to do is tie your hair half up, half down and twist up and around. 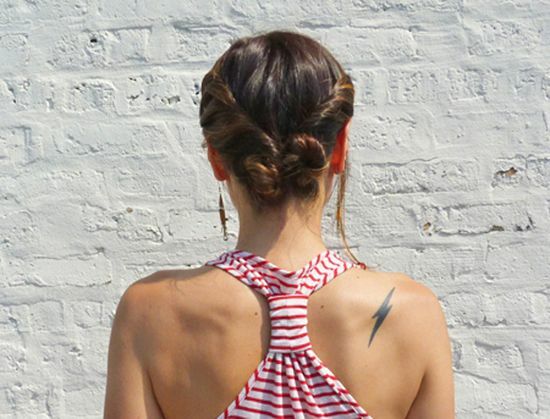 If you’re looking for easy updos for medium hair, this is as simple as it gets. 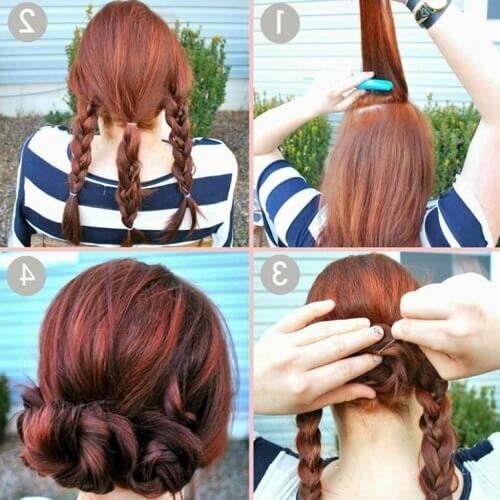 Tie your hair in three low ponytails and twist them around. For this classy and classic hairdo, twist the sides of your hair and bring them into a low ponytail. 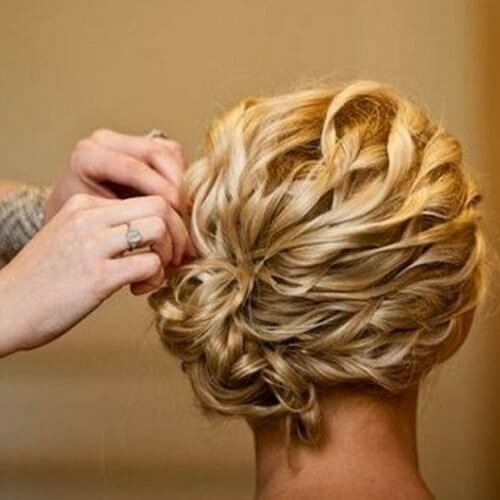 Wrap it up and close with a bobby pin. Voila! Braids all over! 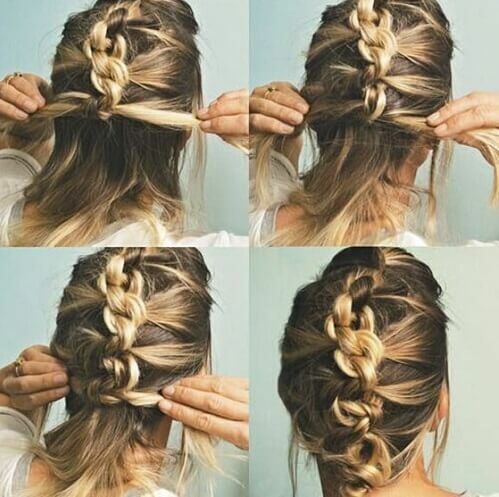 Start with the sides of your head, bring the rest of your hair up into a ponytail and then braid that too! 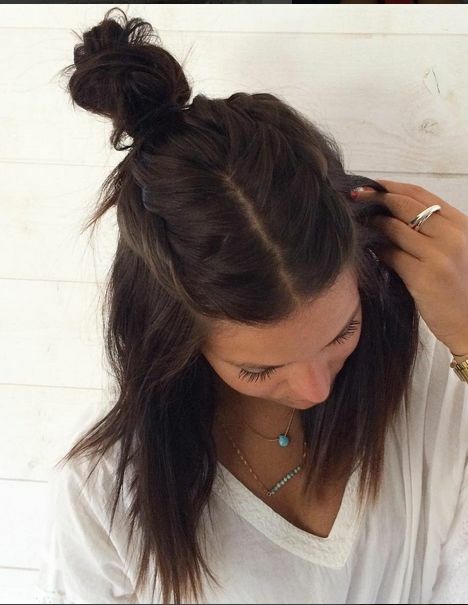 Twist around the main braid for a super cute bun. 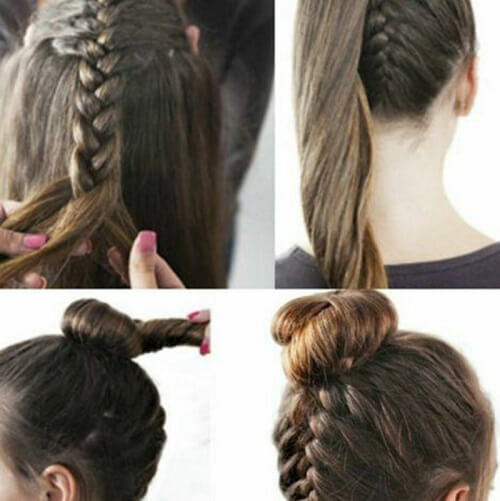 Braid your hair in two, leaving the inner margins loose. 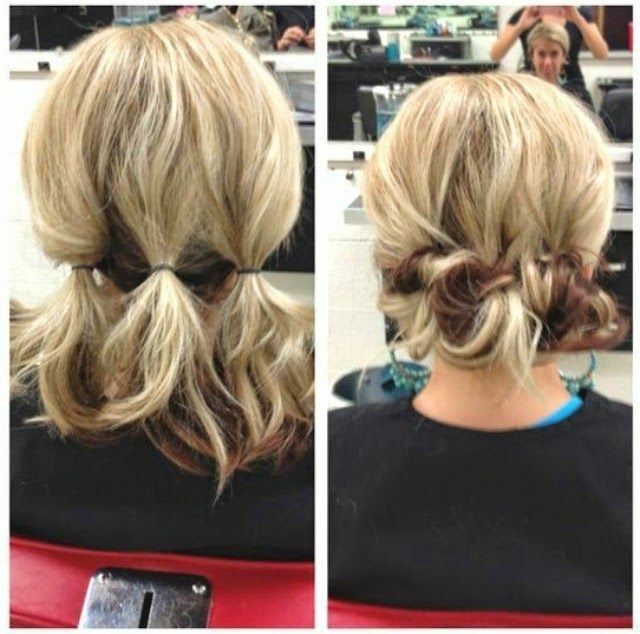 Wrap left, wrap right and the result is a magnificent chignon embraced by a braid. Are you in for an optical illusion? Get the long ponytail you have always dreamed about by first splitting your hair half up, half down and tying the two parts into separate ponytails. 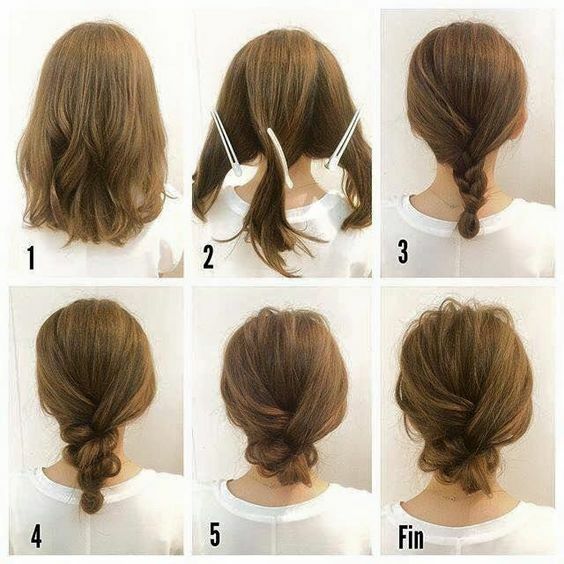 Let the top part fall on the lower one and enjoy your super long pony! 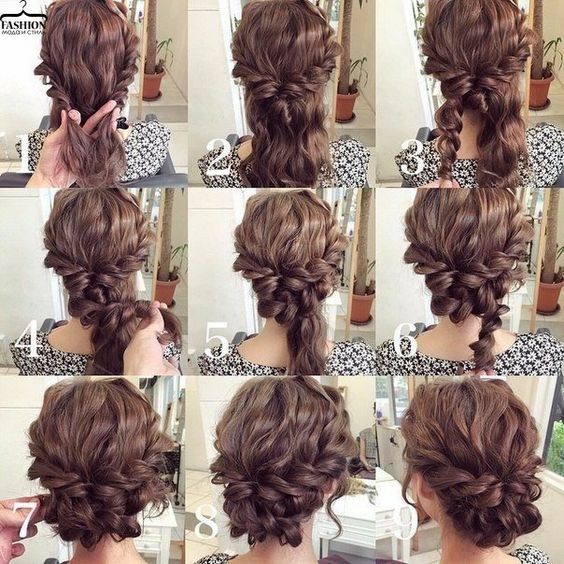 You’ll need a curling iron for these kinds of easy updos for medium hair. 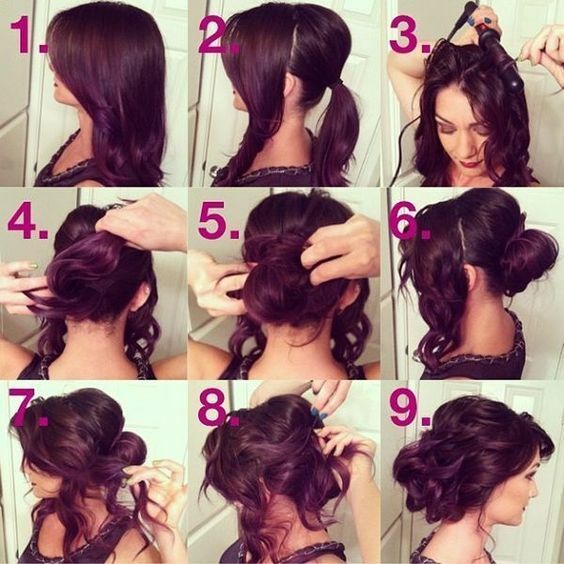 Follow the nine steps illustrated in the photo above to get a fabulous loose bun fit for a wedding! Boho chic anyone? 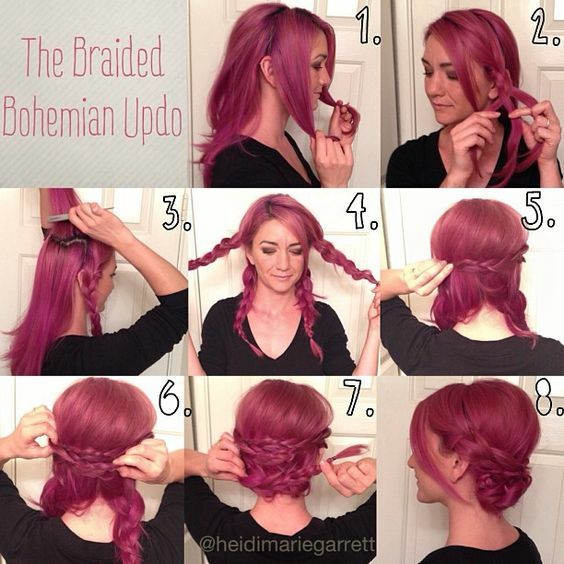 Braid your hair in four and wrap them all around for a fresh bohemian look. 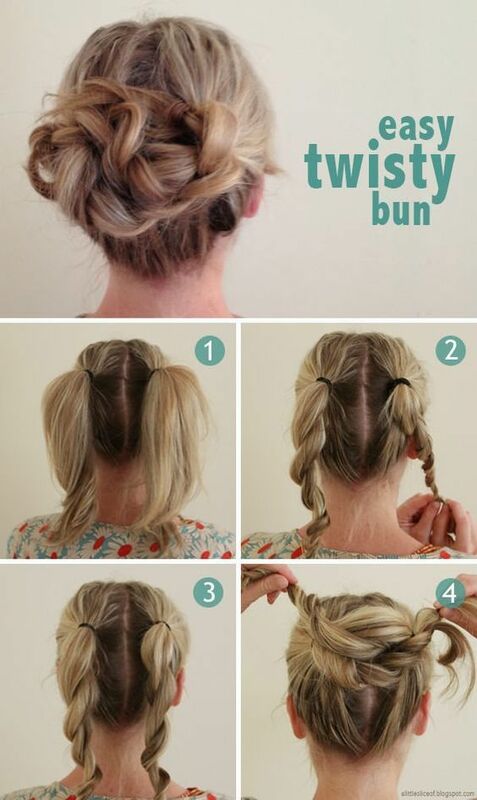 This is similar to the three way twist, just that you also braid the mini ponytails before twisting them into buns. 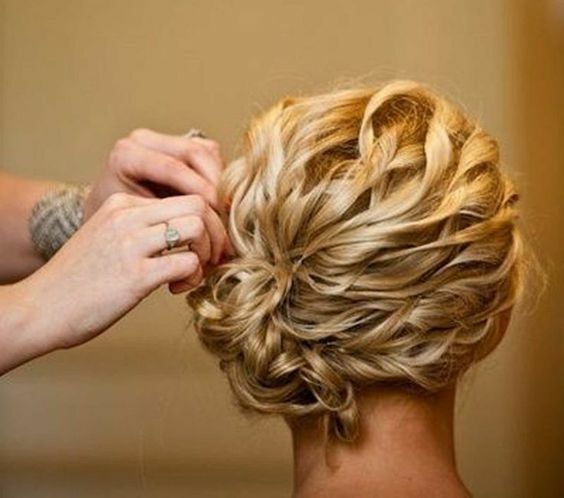 Don’t forget your bobby pins! Start from the top of your head and knot your way down to the base of your neck for a truly unique linked braid. 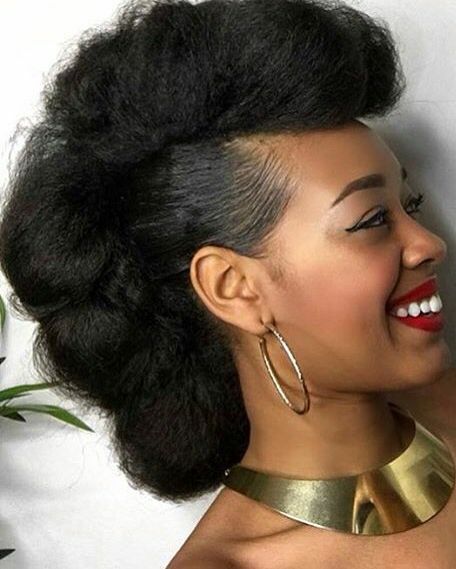 If you’re lucky enough to have afro hair, all you have to do is comb it up to the top of your head and pack in pins all around for the ultimate curly faux hawk. 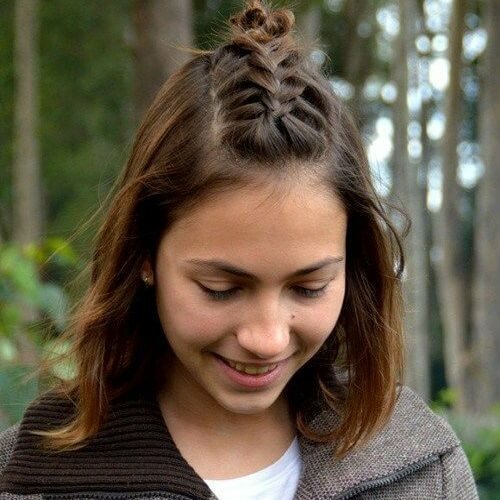 We all love hair bows, but you can make yours even more interesting than a traditional one. After you have the bow in place, gently twist the sides until it beautifully blossoms open. 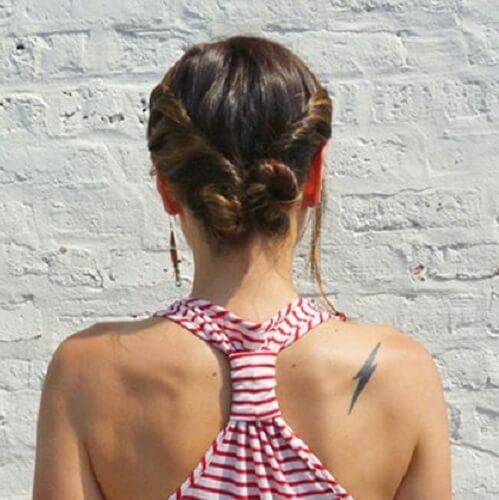 Get a hair tie, bend your neck down, grab all your hair and casually twist it into a bun. That’s all you have to do. 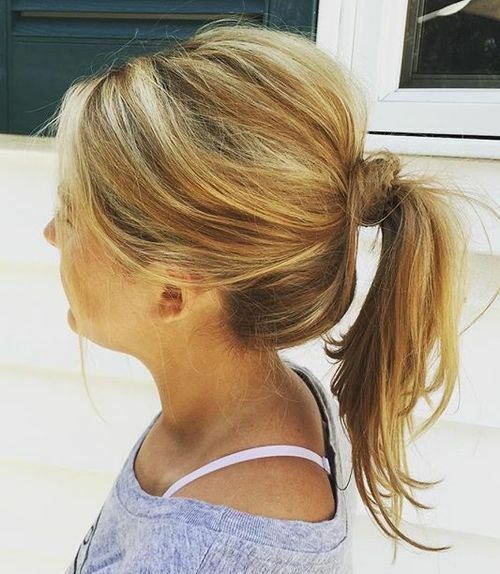 A funky approach to the classic ponytail, this hairstyle involves parting your hair horizontally in three and then adding a hair tie every few inches. 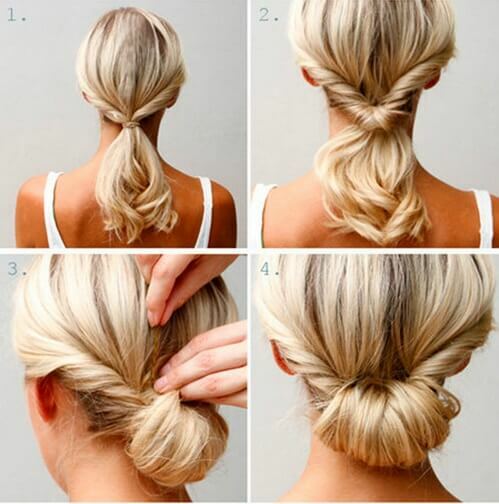 Part your hair in two and twist both sides together into a cute little double bun. Bring on the hairs pray! 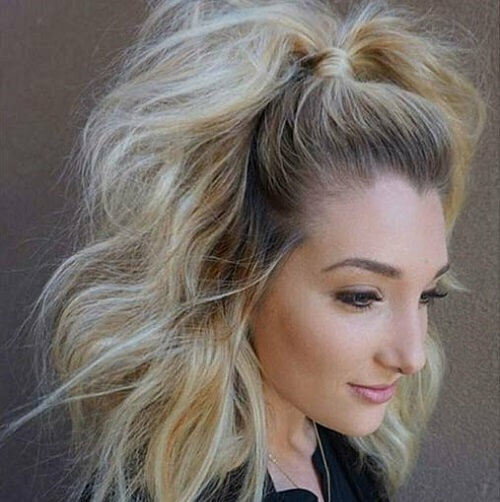 Spend some time gently pinning your hair up into a loose, classy bun and then use hair spray in abundance to hold it in place. 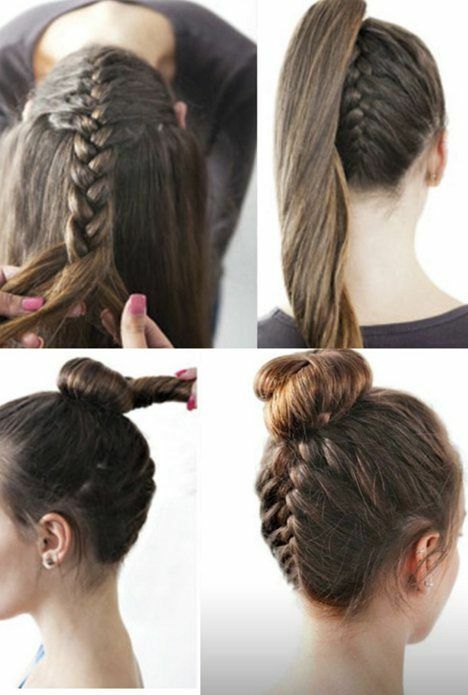 Begin with a loose French braid at the top of your head and then add a hair tie for a cool and eye-catching loose bun. 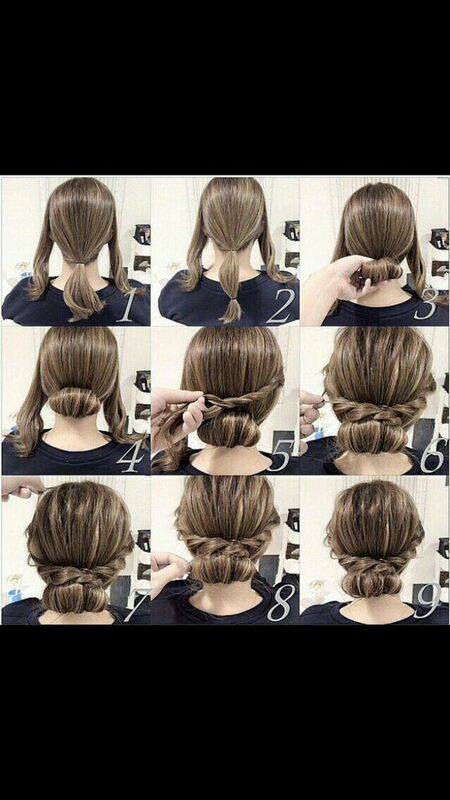 The steps are almost the same for these easy updos for medium hair, just that you wrap your hair in a ponytail at the end instead of a bun. 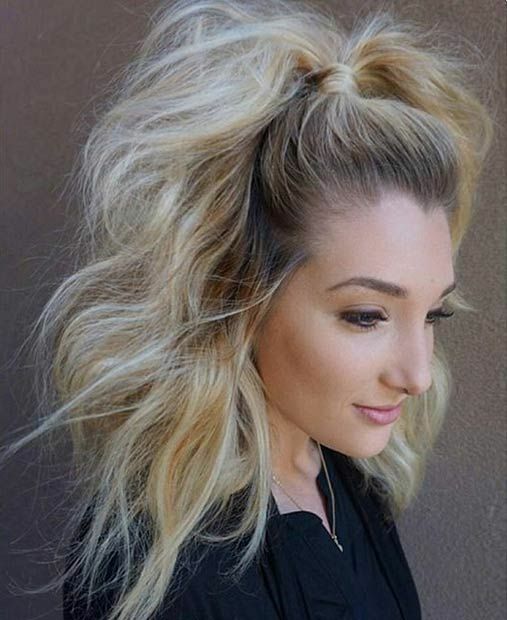 Use pins to bring your wavy locks together into this messy-but-fancy bun. Don’t forget to leave a few loose strands on the sides of your face for a lovely effect. 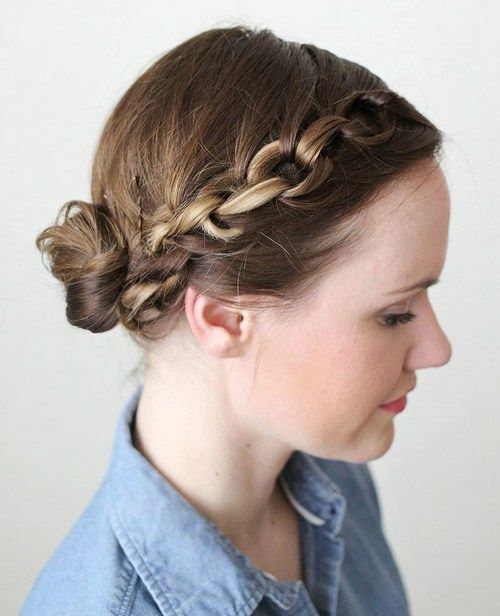 Instead of styling your hair into a low bun with a braided crown, link the top part together for an original approach. 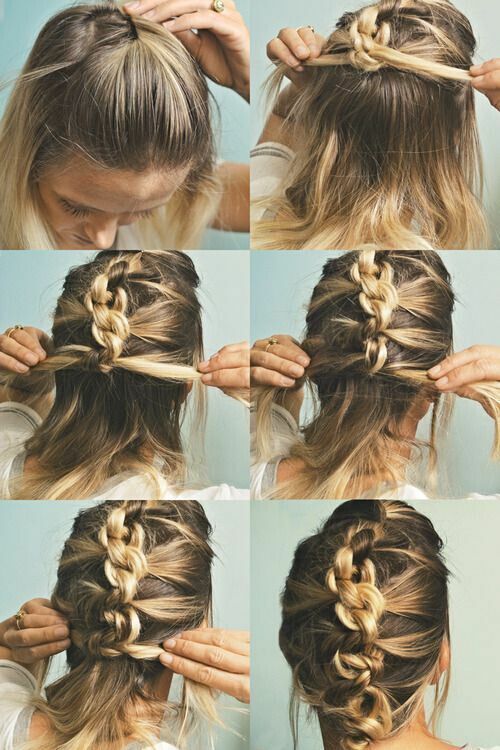 Part your hair half up, half down. 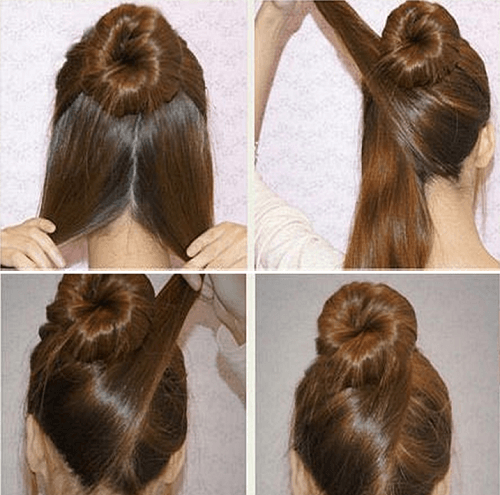 Wrap the top part in a bun. Part the remaining hair vertically in two. Wrap these parts up left and right one at a time. All done! After you get your perfect messy bun together, you can add a personal touch with a cool double headband. Everyone knows about the classic French braid, but how on earth do you really make it? This 9-step guide shows how easy-peasy it really is! 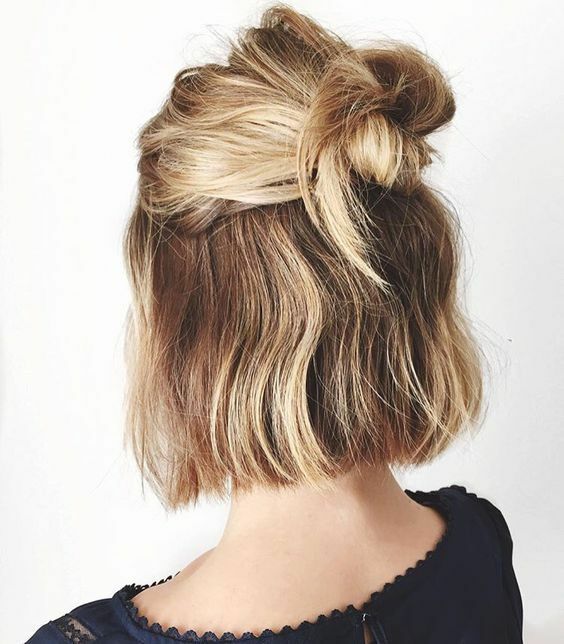 Why settle for the norm when you can give a classic chignon a twist? Instead of keeping it straight down, turn it to the side a bit. 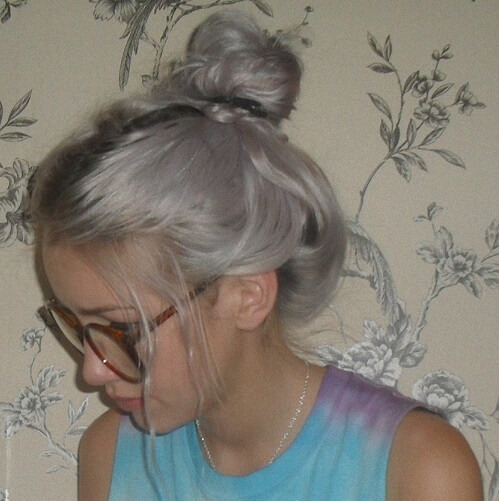 Is there any way to make a bohemian bun even more adorable? Surprisingly, yes. Add a big bow in your favorite color and you’ll look as if you came straight out of a fairytale. 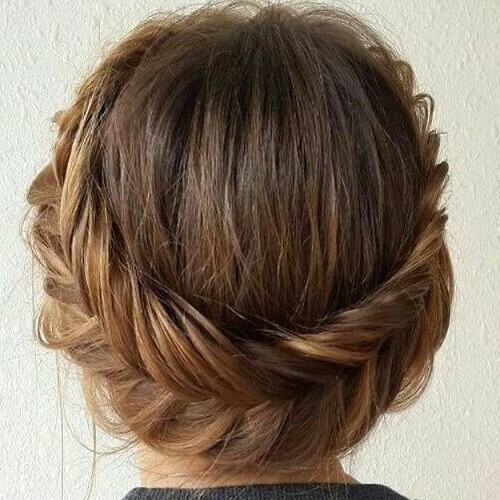 One of the easy updos for medium hair you can try out any time is braiding two bigger strands on each side and bringing them together for a cute half up, half down look. 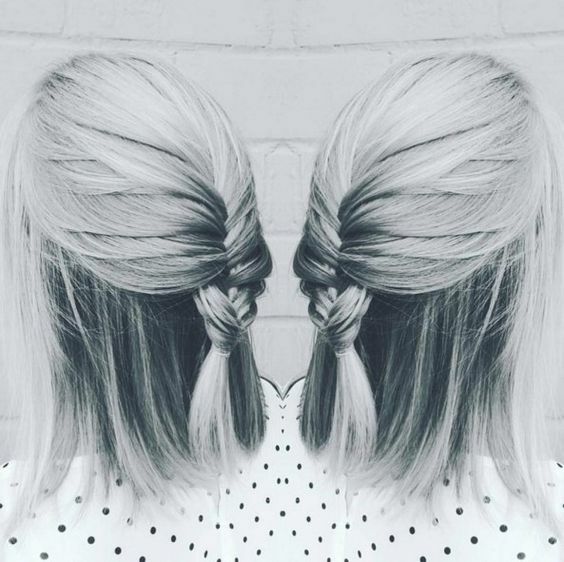 A well-braided fishtail can go a long way for easy updos for medium hair. Another way to style a side chignon is by curling your hair beforehand. It’s even better if your hair is naturally wavy or curly. 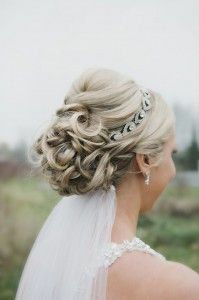 Another glamorous wedding bun is this swept up style. 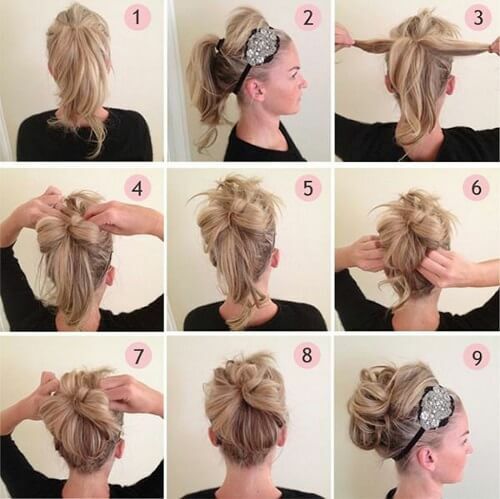 Pin up a loose bun and sweeping the sides up. 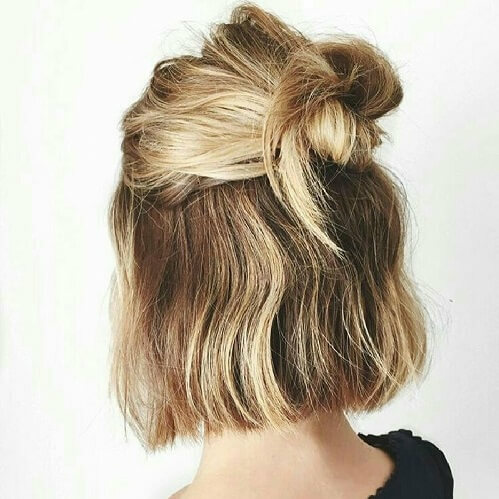 Twist your way to a chignon and add your favorite hairpins. 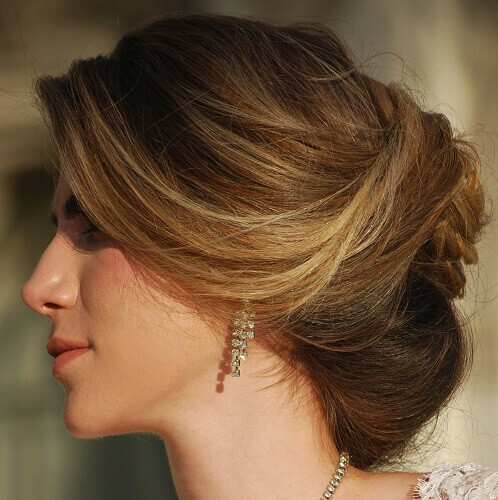 This curly bun is the wedding updo you’ve been dreaming of. 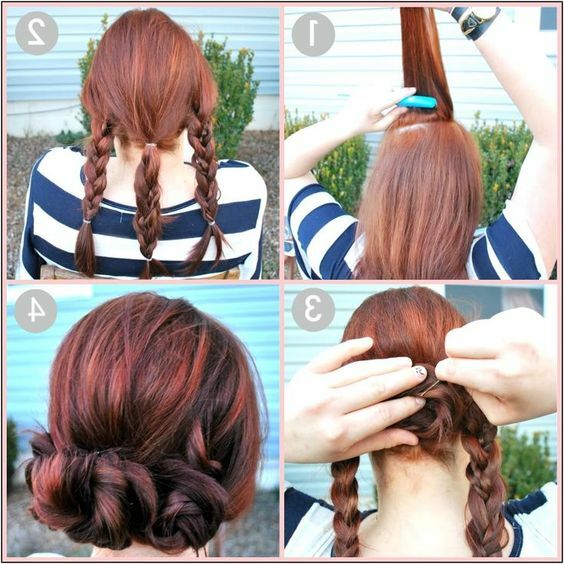 Braid a bit of your hair to the side and bring the rest up into a ponytail. 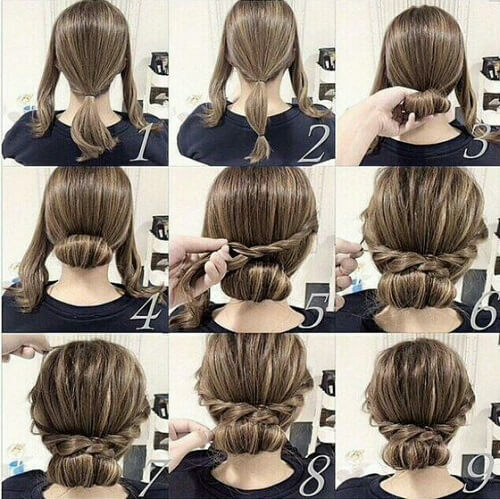 Pin in a loose chignon and wrap a braid around the top. 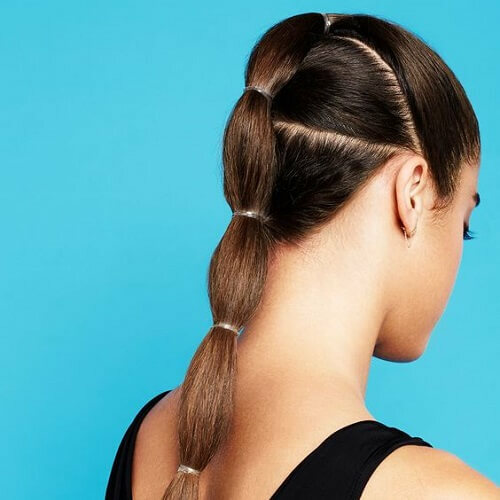 Loosen up your top French braid and end it in a high ponytail. What you see is what you get, ladies. 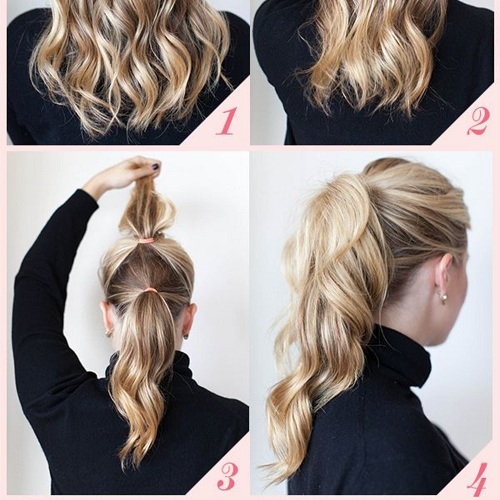 Puff up your ponytail with a comb and hair spray. 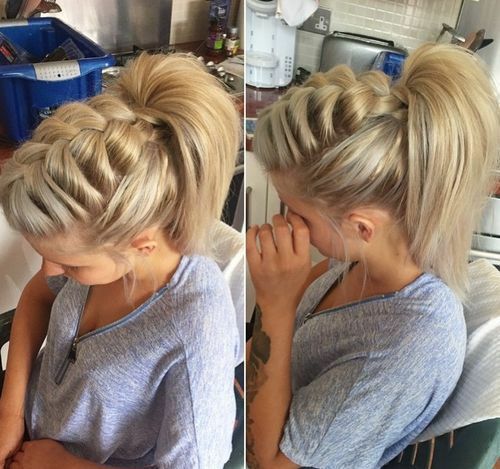 Tie your hair in a half up, half down ponytail and start teasing. 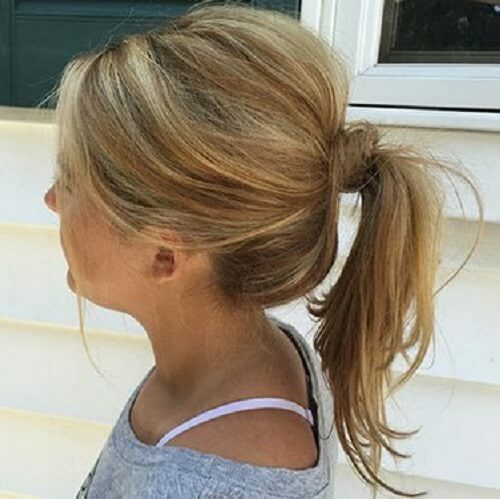 This is the classic version of the half up and half down ponytail. Don’t be afraid to get messy with your ponytails. 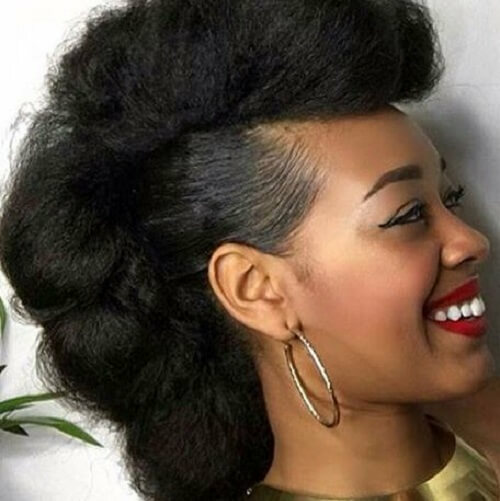 Bring your hair up into a faux hawk and tease away! 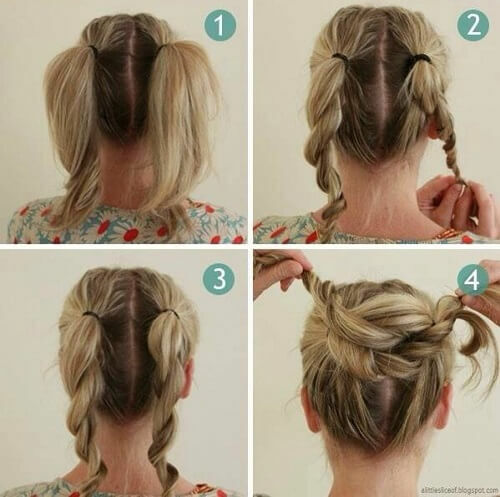 After parting your hair half up and half down, twist the end into a bun. 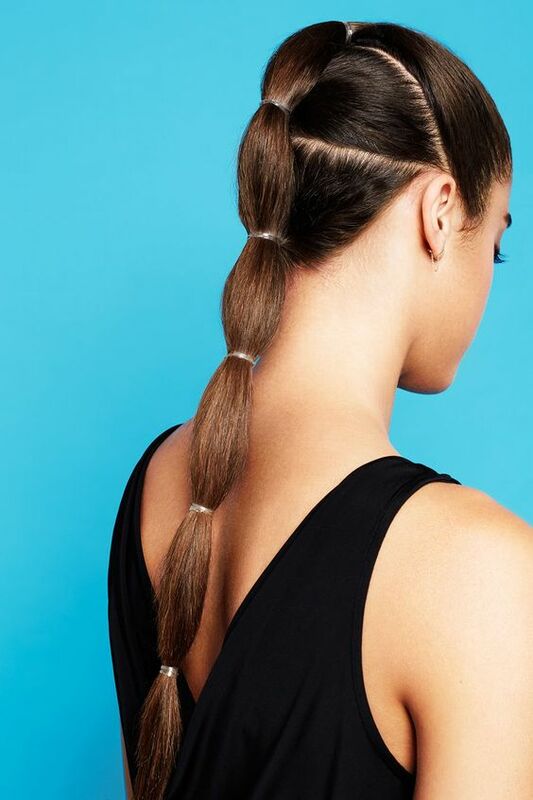 Add a bandana to your ponytail for a fresh and edgy look. Wrap your ponytail with a ribbon and curl everything else. 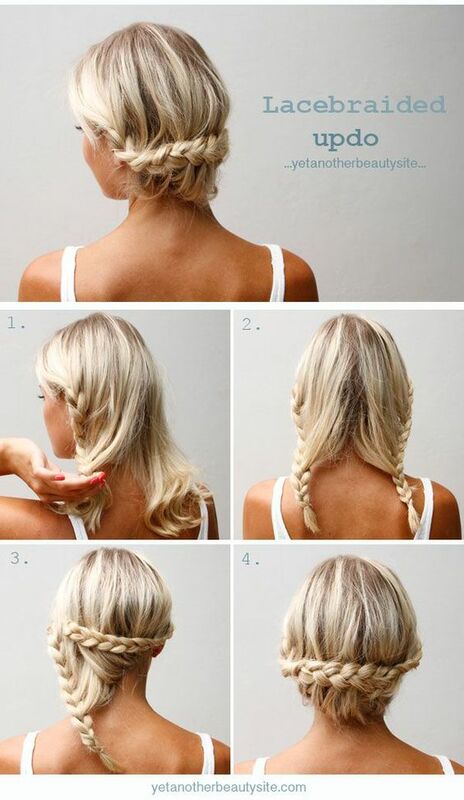 Braid both sides into a half up and half down bun. 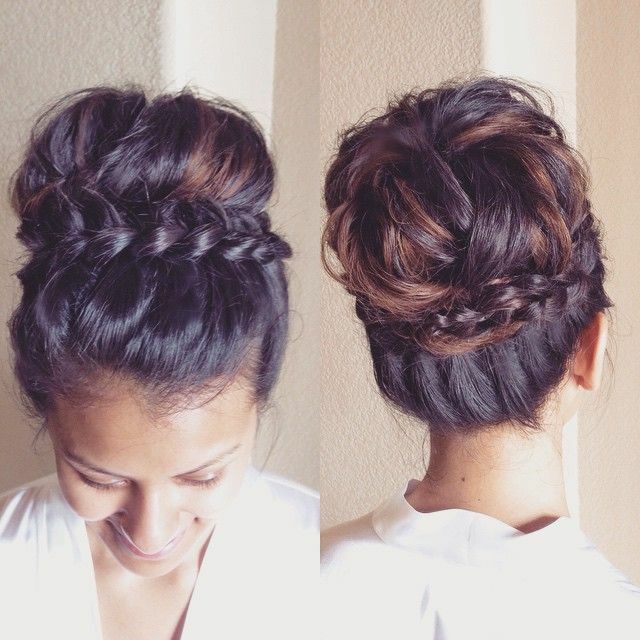 Start with a French braid and end up with a fab twist to a classic bun. 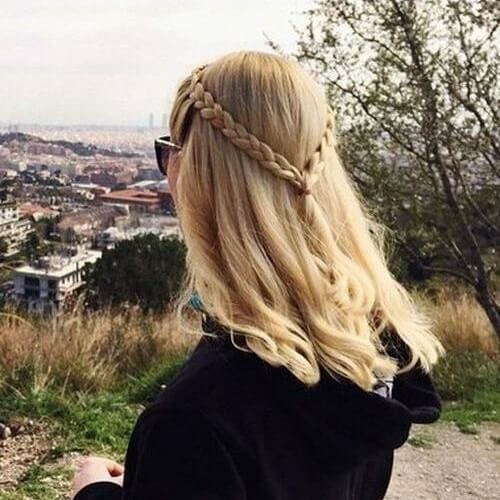 Double your crown with a traditional braid and a fishtail braid. 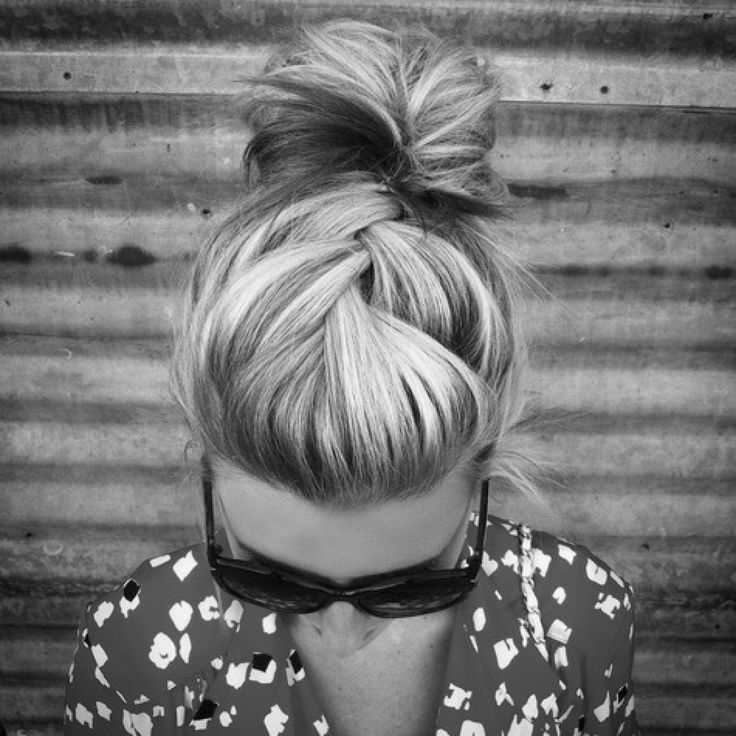 Go for a big bun and surround it with a thick braid. 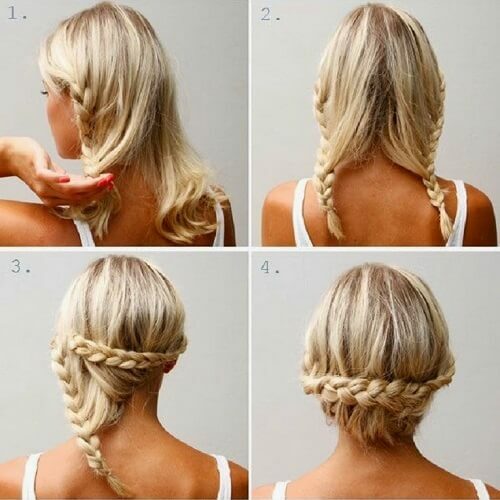 Braid the top part of your half up, half down hairstyle into an adorable fishtail. 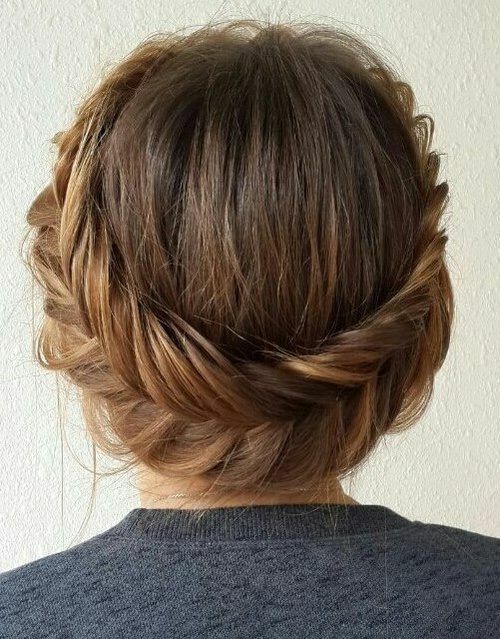 Make the most of your curls with this loose braided bun. 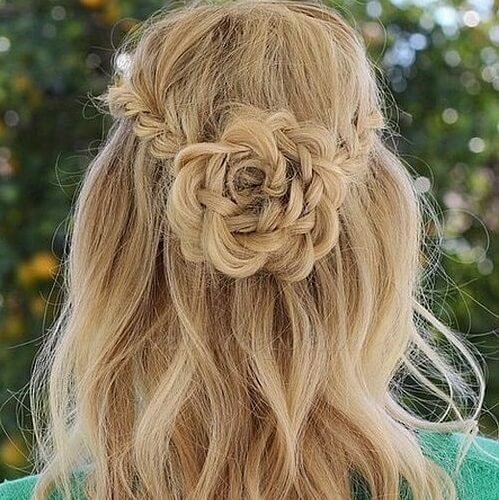 Add some small flowers to your braided updo for enhanced femininity. 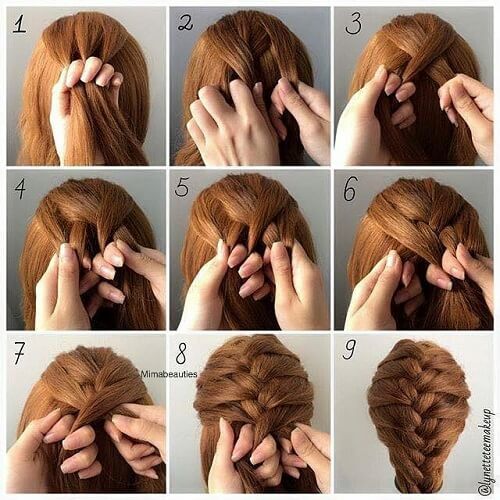 Create a wraparound crown with any braids you like. 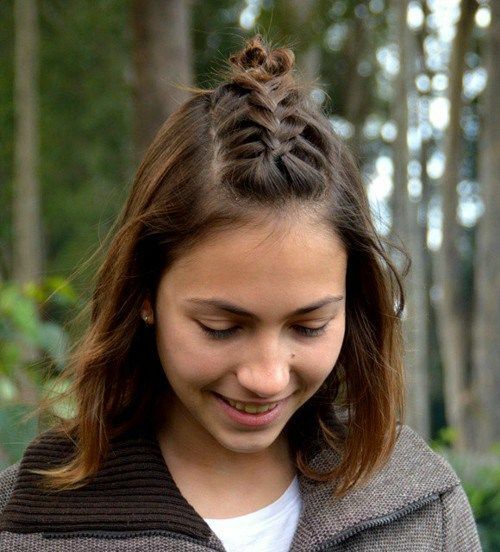 French braid your pigtails up into small buns. 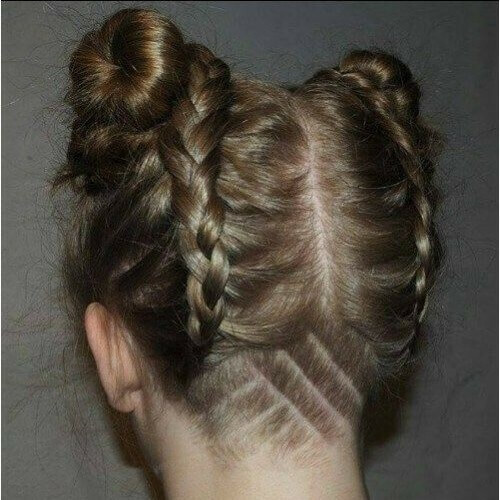 The shaved undercut is optional, of course. 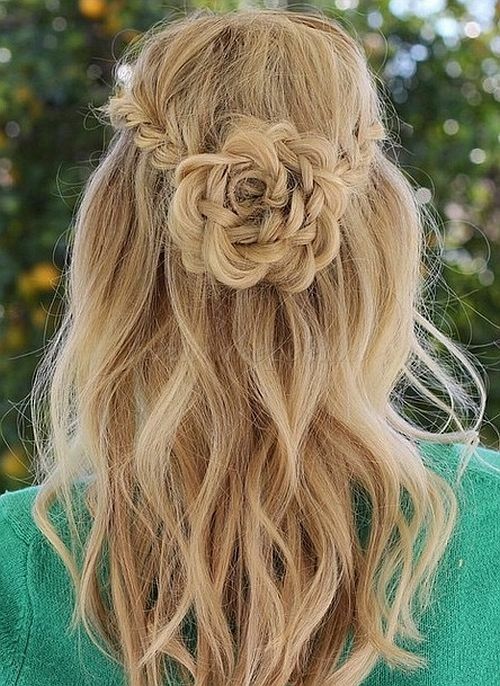 Get creative with your braided half up, half down with a beautiful flower design. 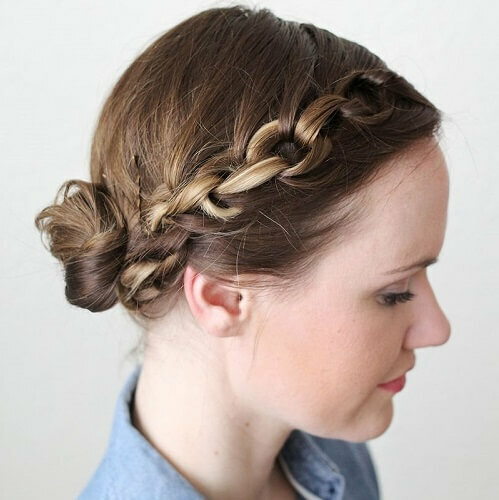 Try stopping your French braid when you get to the top and let the rest of your hair flow freely. 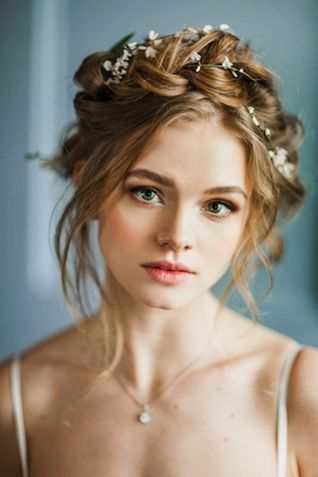 Connect two side braids into one of the princess-like easy updos for medium hair. Image credits: 1, 2, 3, 4, 5, 6, 7, 8, 9, 10, 11, 12, 13, 14, 15, 16, 17, 18, 19, 20, 21, 22, 23, 24, 25, 26, 27, 28, 29, 30, 31, 32, 33, 34, 35, 36, 37, 38, 39, 40, 41, 42, 43, 44, 45, 46, 47, 48, 49, 50, 51, 52, 53, 54, 55, 56, 57, 58, 59, 60.